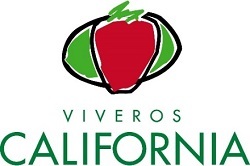 Viveros California, S.L. (VICA) is one of the most outstanding berry plant nurseries in Europe. The company belongs to the MEDINA GROUP, a role model in the Spanish food sector, with over 50 years of experience. VICA was established on February 17, 1983, has its registered office in Geria (Valladolid), where its facilities and offices are located, and also has work centers in Seville and Huelva. The company has an average of 170 employees, mostly women, and has a very positive socio-economic impact on the production areas, characterized by a scrupulous respect for the environment. 80% of its production is destined for export, with the main foreign destinations being Morocco, Italy and Greece, although more and more frequent shipments are made to more distant countries. VICA has participated in numerous R&D projects at national and international level and it devotes about 2.5% of its annual turnover to these projects. Within the GoodBerry project, VICA is mainly involved in the multiplication and recollection of plants in different environments and their distribution to all partners.